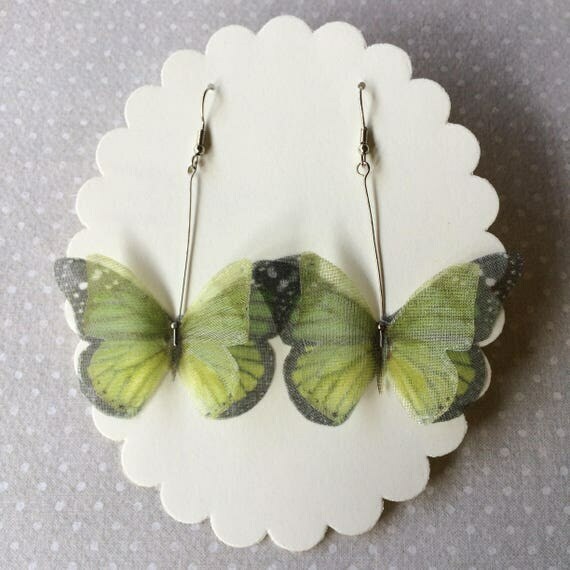 A new pair of handmade earrings with silk organza butterflies. I chose butterfly images one by one, from real pictures and vintage illustrations. Then I printed them on high quality silk organza, hand-cut and sealed to prevent fabric fraying. 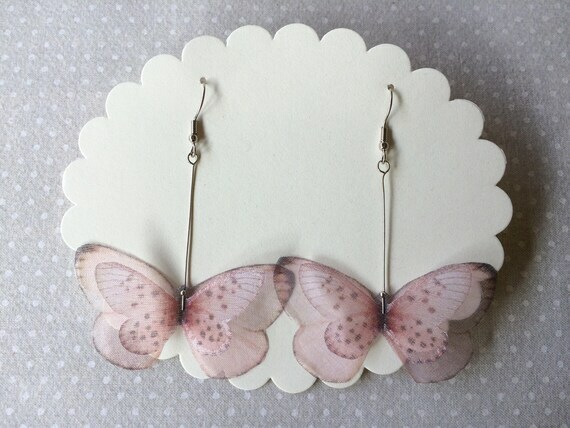 There are 4 butterflies on these earrings and they measure about 6 cm. wingspan. 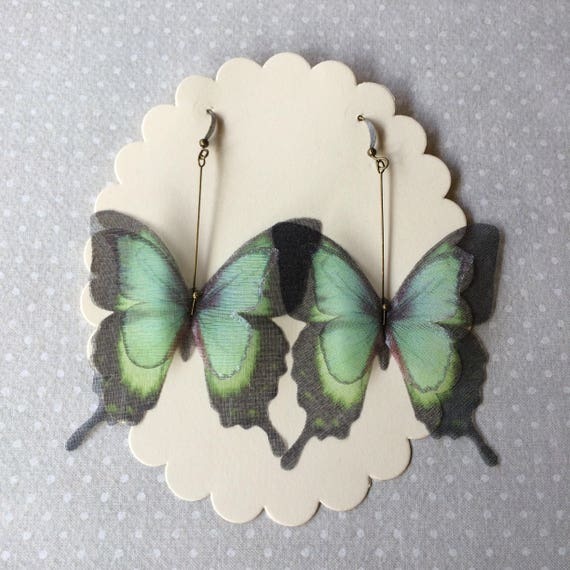 Completely hand-made earrings with silk organza butterflies and wings. 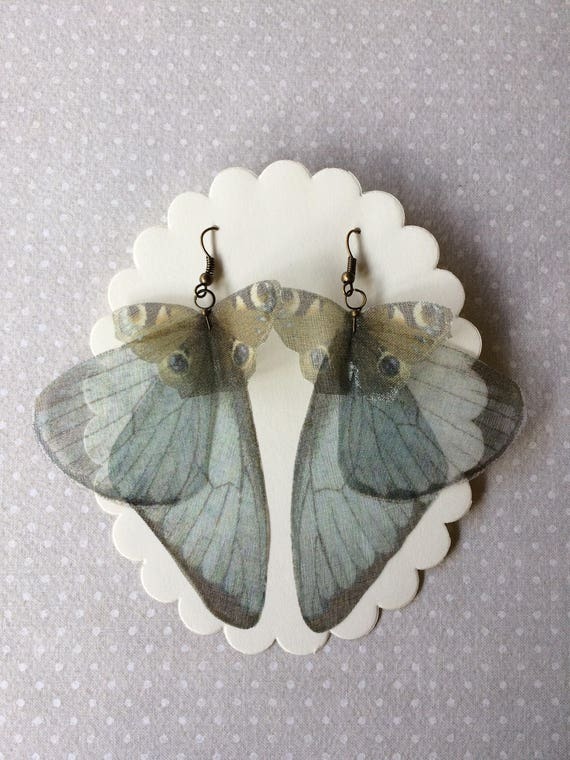 There are 6 butterflies (and wings) on these earrings, and they measure about 9 x 6 cm. Lovely hand-made bobby pins with teal butterflies. I chose butterfly images one by one, from real pictures and vintage illustrations. Then I printed them on high quality cotton and silk organza, hand-cut and sealed to prevent fabric fraying. This bobby pin is made using 2 butterflies: one in cotton and one in silk organza. 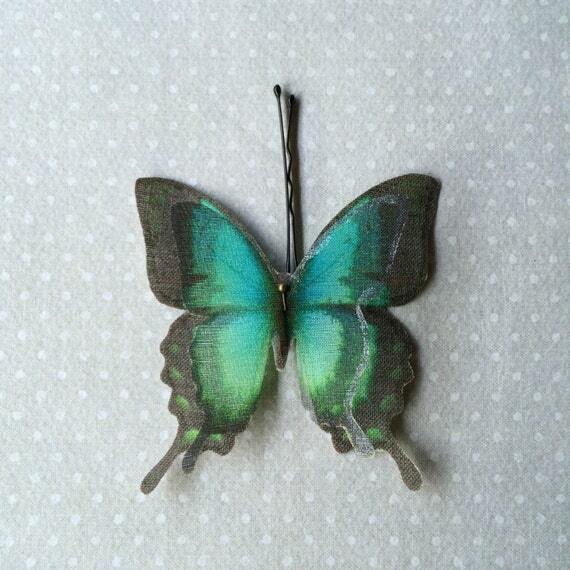 Lovely hand-made bobby hair pins with light blue and green shades swallowtail butterflies. 3 pieces. I chose butterfly images one by one, from real pictures and vintage illustrations. Then I printed them on high quality cotton and silk organza, hand-cut and sealed. 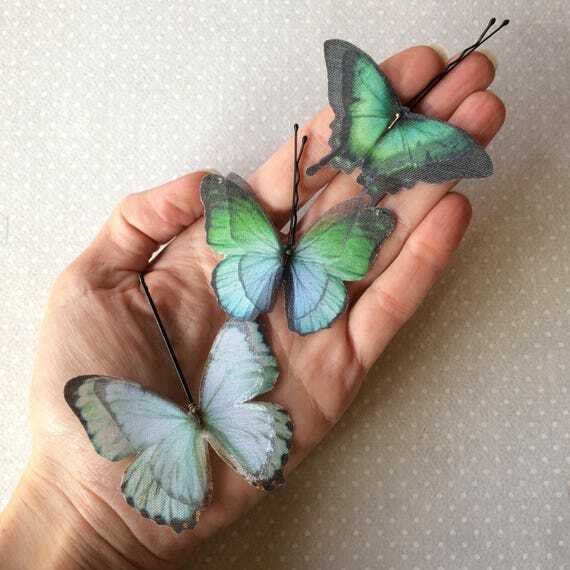 Each bobby pin is hand-made using 2 butterflies: one in cotton and one in silk organza.